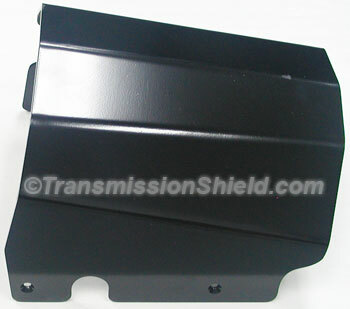 A 4L80E transmission shield provides safety for the vehicles driver, track personal, crew members and spectators. Available on this page is a top quality, SFI specification 4.1 approved automatic trans safety shield. A 4L80 transmission shield meeting SFI specifications is required when participating in many different competition events put on by a large number of sanctioning bodies in order to pass technical inspection and be allowed to compete. 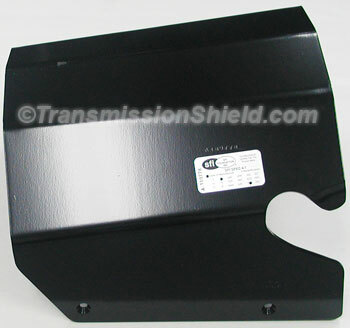 A scatter shield is one of the most important safety items you can install on your vehicle. The modern 4L80E automatic transmission has evolved in to a very desirable assembly to use in high performance and competition vehicles. With aftermarket modifications these transmissions are now capable of handling far more power than they were originally designed for. They are also used in a wide variety of applications that they were never intended for putting greater stresses on them. Any serious performance application using this model transmission should have a scatter shield installed to add a greater safety margin. These shields are made from 6061-T6 aluminum and have the most current possible date SFI certification approval specification decal on them when shipped. 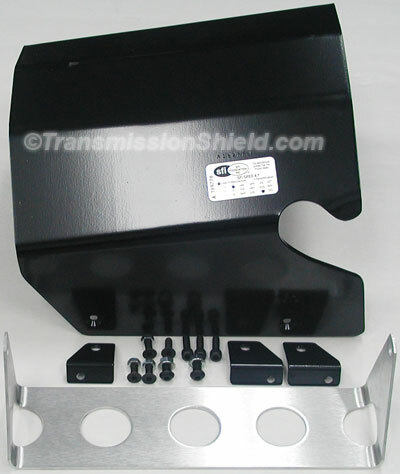 The shield kit listed below includes the SFI approved 4L80E trans shield, bottom straps, mounting brackets and hardware. NOTE: For manual shift conversions or installations where the stock box over the selection shaft is removed and replaced by a switch on the shifter assembly itself. Will not fit with stock electronics box in place over the shift selector shaft. You have to remove that stock box assembly over the shift selector and then the shield will fit. That box is the transmission range switch to tell the computer what gear the trans is in. It does not mean that you have to use a manual shift transmission, but that box assembly over the shift selector shaft most be removed and a switch installed on the shifter itself. Then the switch on the shifter is used to take the place of the stock shift selector that you remove.